ISO 45001 is due to be introduced into workplaces worldwide from late July 2017 to address the growing pressures to reduce workplace risks, enhance employee safety and increase the quality of working conditions. Addressing risk management is one of the principal focuses within the new ISO 45001 standard, with an aim to tackle incident rates in organisations. It reshapes some of the fundamental elements of the existing ISO & OHSAS frameworks by revamping elements such as terms and definitions, leaderships, planning, support, and operations. The new standard provides a framework desinged to improve employee safety, reduce workplace risks and create better, safer working conditions, all over the world. 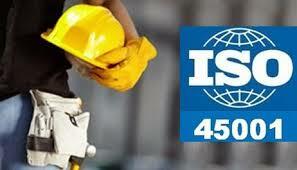 ISO 45001 requires a system in place to carry out each stage of Plan, Do, Act, Check. Therefore, organisations wanting to achieve the standard need to make the process easy and accessible for people to use and uphold. We’ve used PDAC (and added analysis) to illustrate the headline actions for accreditation. Know what you want to achieve, who will be responsible for what, how you will achieve your aims, and how you will measure your success. Use an EHS system to help you deliver that process. Decide how you will measure performance. Think about ways to do this that go beyond looking at accident figures - your safety management system should provide a way of measuring and monitoring performance through audits. Assess the risks, identify what could cause harm in the workplace, who it could harm and how, and what you will do to manage the risk. Decide what the priorities are and identify the biggest risks - auditing is a major part of achieving any ISO certificate, having access to information under one roof across an organisation makes it much easier for an ISO Auditor to complete their job. Implement your plan - decide on the preventive and protective measures needed and put them in place proactively rather than reactively via cause analysis, capturing repeat incidents. What training and instruction will ensure everyone is competent to carry out his or her work? Measure your performance - through continuous monitoring and improvement of safety performance via audits & observational safety. Assess how well the risks are being controlled and if you are achieving your aims.– - your EHS system will help you assess if you are meeting aims & objectives through reporting and analysis tools. Analyse & Review – Continuously. Investigate the causes of all incidents; review the outcomes of your audits and use clever predictive analytics to assess what may be a problem in the future so you can address the causes before the problem becomes a reality. EMEX is the most powerful HSE risk management software on the market today, offering all the above features and much more.